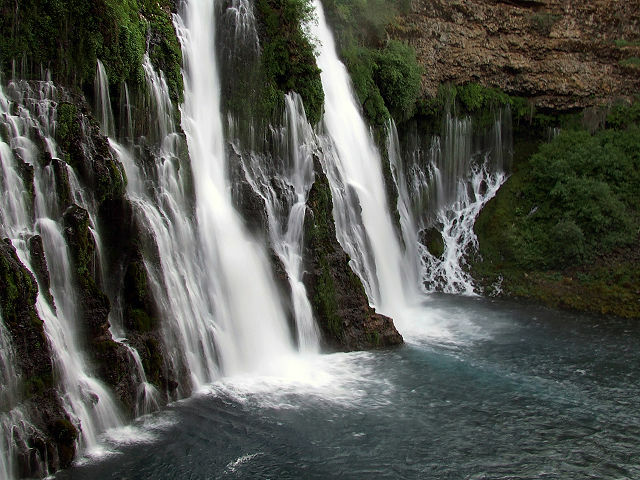 When Teddy Roosevelt saw the Burney Falls, he described them as the “eighth wonder of the world”. If not the eight wonder, they still are impressive falls with an almost constant flow of 100 million gallons a day, even during dry summer months. The roaring water comes from an underground spring above the 129-foot falls. The region is volcanic and that is the secret behind the constant water flow. The layered, porous basalt created over a million years ago, retains rainwater and snow melt, which forms a large underground reservoir where the water originates from. 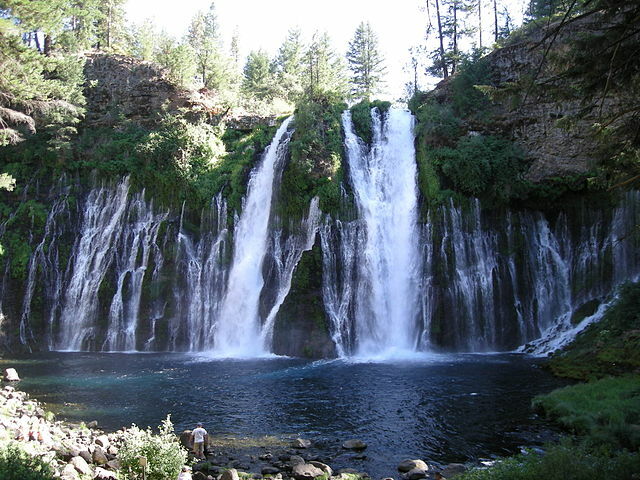 The falls are located northeast of Redding, 6 miles north of Highway 299 on Highway 89 near Burney. There are parking lots near the falls and you can actually see the falls right from one of them. A short hike from the parking lot takes you to the falls. It is possible to reserve campsites or cabins near the falls. Parking fee $8 per car.